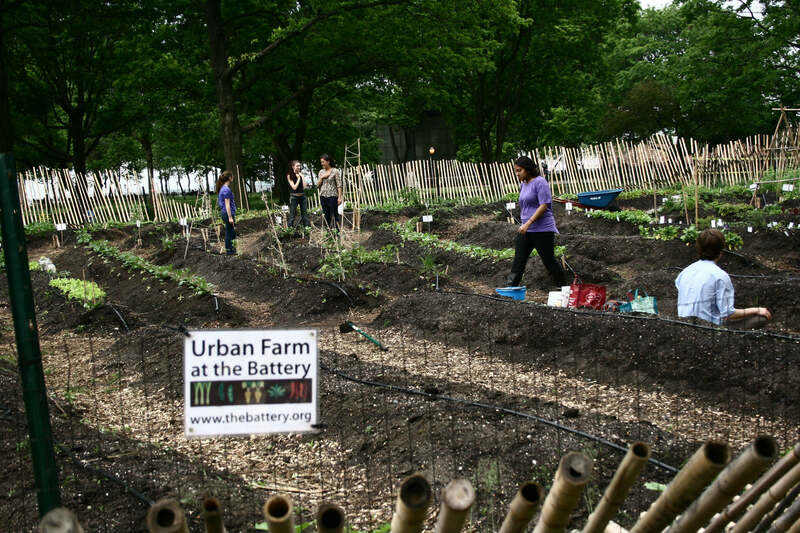 For all of its concrete buildings, New York City actually has the largest urban agriculture system in the country thanks to its community, rooftop, and vertical gardens. The city has no shortage of prime roof real estate—14,000 acres to be exact. Despite this a wealth of potential for the city’s urban agriculture future, restrictions in zoning and a lack of regulation have stymied the growth of the practice. A new bill submitted to City Council last Thursday by Councilman Rafael Espinal and Brooklyn Borough President Eric Adams hopes to change that, as first reported by the Wall Street Journal (WSJ). Calling for updated zoning and building codes, they are pushing for a comprehensive plan that will do more than increasing food production: the bill aims to help create more jobs, improve access to fresh produce, and fight climate change by reducing the need for food transport. Espinal, who recently co-sponsored a bill to abolish the city’s cabaret law, said that the city “must create a comprehensive urban agriculture plan in order to deal with the challenges of today and tomorrow.” He also said that urban farming has the potential to address the relationship between climate change and social inequality, where food deserts in low-income communities can be transformed into food farms. The city’s current zoning codes largely ignore farming practices in the city and do not mention hydroponic systems (where plants grow in a water-based solution as opposed to soil), according to the WSJ. Only nonresidential districts are allowed to have rooftop gardens and the fragmented regulation is a “barrier to entry,” said Jason Green, co-founder of EdenWorks, an aquaponic company in Bushwick, Brooklyn, to the WSJ. By growing crops on roofs, the sides of buildings, or in vertically stacked layers indoors, food can be mass produced in a way that helps save energy and time, all while accommodating to the city’s increasing population. ‘Traditional’ farming (on the ground) faces growing challenges due to climate change, and urban agriculture is “the wave of the future,” according to Adams. Neighboring Newark, New Jersey is already one step ahead, having changed its zoning code to include urban agriculture language. The city is now home to AeroFarms, the world’s largest indoor vertical farm. Espinal and Adam’s bill will also feature an urban agriculture plan—to be developed by the Department of City Planning—that addresses land use policy. The plan will be submitted next year. The pair have also raised the possibility of developing a separate office of urban agriculture.